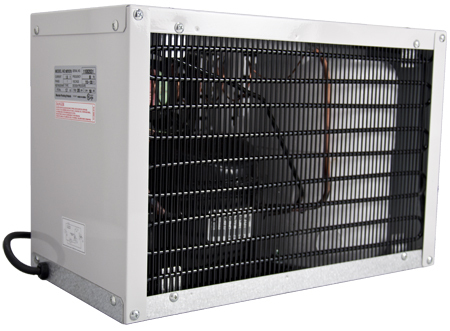 Superwater.com Offers Discounted 100% FREE FedEx and UPS Ground Shipping on every MT670-2 / MT670 Water Chiller Unit Order. ***WE ARE AN AUTHORIZED MOUNTAIN PLUMBING PRODUCTS DEALER WITH OVER 20+ YEARS EXPERIENCE. Questions? Please Call Us. 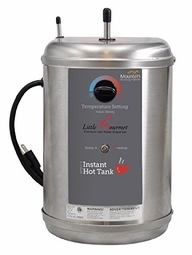 NOTE: The Mountain Plumbing Products Chiller # MT670 is now sold and listed as the # MT670-2. This # Mountain MT670-2 unit is very close to the Water Inc. Evercold Chiller WI-WIC400S / WI-WIC302S Models, and Similar to the Oasis Corporation R8 Chiller Models. Have you ever wondered what it would be like to have ice cold water anytime you want without having to wait for it to cool down? An instantly cold drink and or beverage made with the Mountain Chill� Water Chiller is the most refreshing way to cool down on a hot summer day. The NEW MT670 / MT670-2 Mountain Chill� hides cleanly and simply beneath the sink and provides 1.5 gallons (per hour) of crisp, cool water from your own faucet. Having the Mountain Chill� Water Chiller in your home is the ultimate in convenience. When paired with the Mountain Pure� Filtration System, clean, pure water can be yours to enjoy anytime day or night. Science has proven water has the potential to transform your worldview. Crystals formed in frozen water reveal changes when specific, concentrated thoughts are directed toward them. Water that has been exposed to loving words shows brilliant, complex, and colorful snowflake patterns. The implications of this research create a new awareness of how we can positively impact the earth and our personal health.- Dr. Masaru Emoto The Hidden Messages in Water.